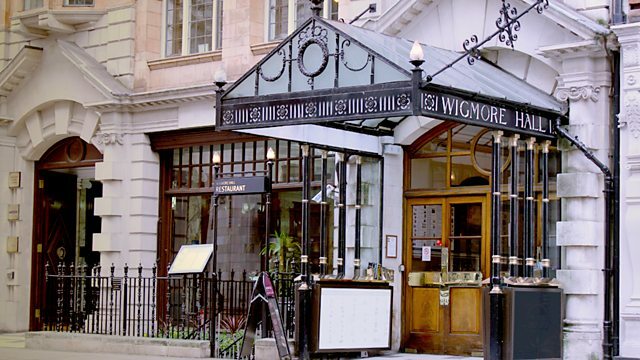 Live from Wigmore Hall in London, a recital featuring Miah Persson (soprano), Malcolm Martineau (piano) and Birgit Kolar (violin). With music by Handel, Donald Waxman and Strauss. Swedish soprano Miah Persson is joined by pianist Malcolm Martineau and violinist Birgit Kolar in a live recital of songs spanning two and a half centuries, broadcast live from Wigmore Hall. Join us for an hour of elegance, charm, serenity and passion! Performer: Birgit Kolar. Performer: Malcolm Martineau. Singer: Miah Persson. Performer: Birgit Kolar. Performer: Malcolm Martineau.